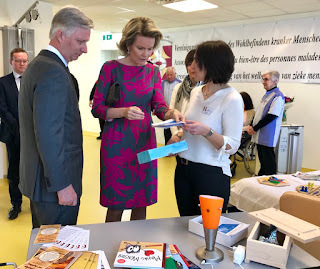 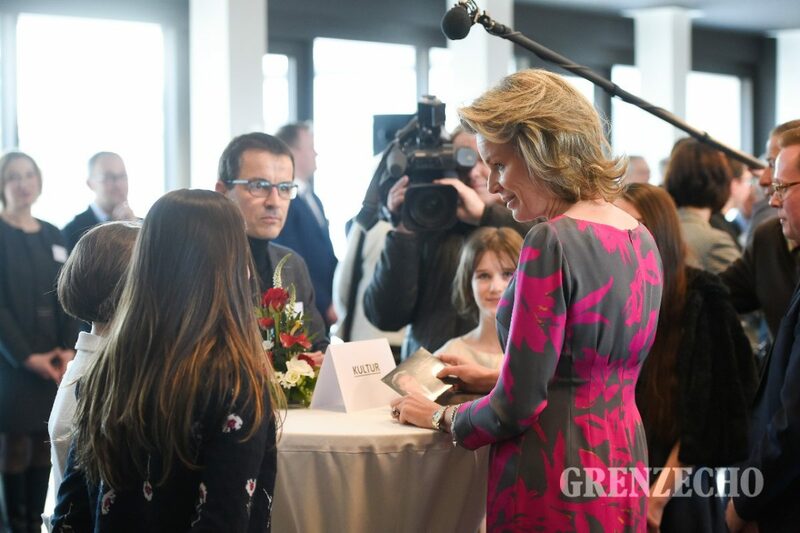 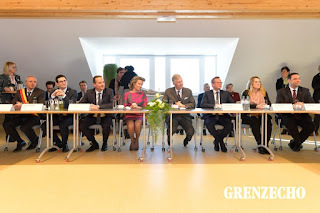 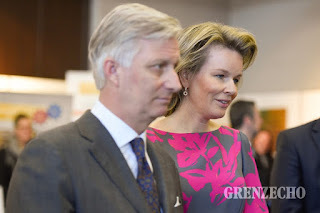 The king and queen visited the Sankt Josef Klinik of German speaking Sankt-Vith where recovering patients receive help from volunteers as well as professional staff. The hospital has patients from both sides of the border, Belgians and Germans. 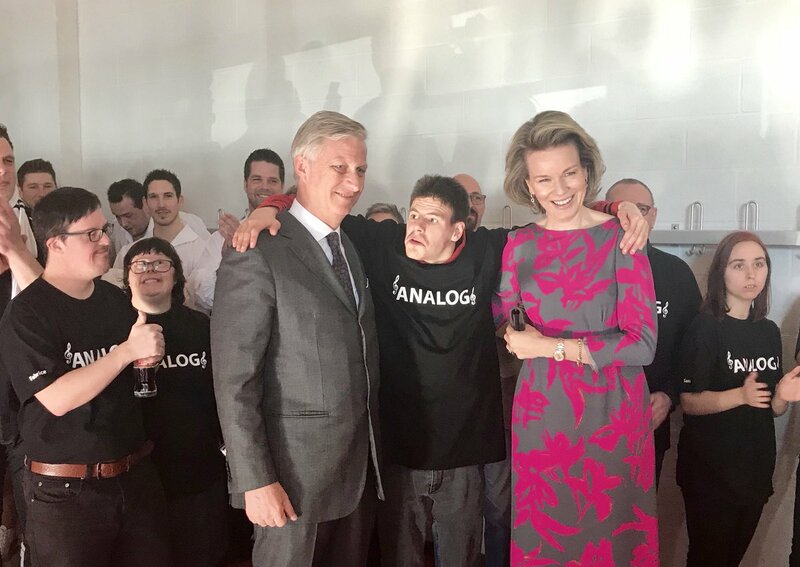 Afterwards Philippe & Mathilde went on to meeting center Triangel where they watched a performance by Analog, a music band with both abled and disabled musicians. 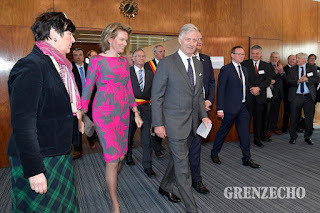 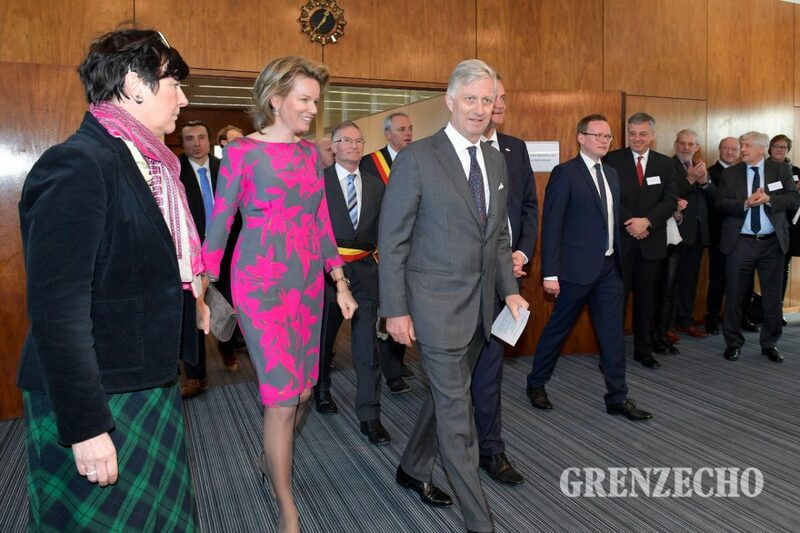 To conclude the visit, the royal couple took their time to greet the population who were waiting outside the town hall in the freezing cold. 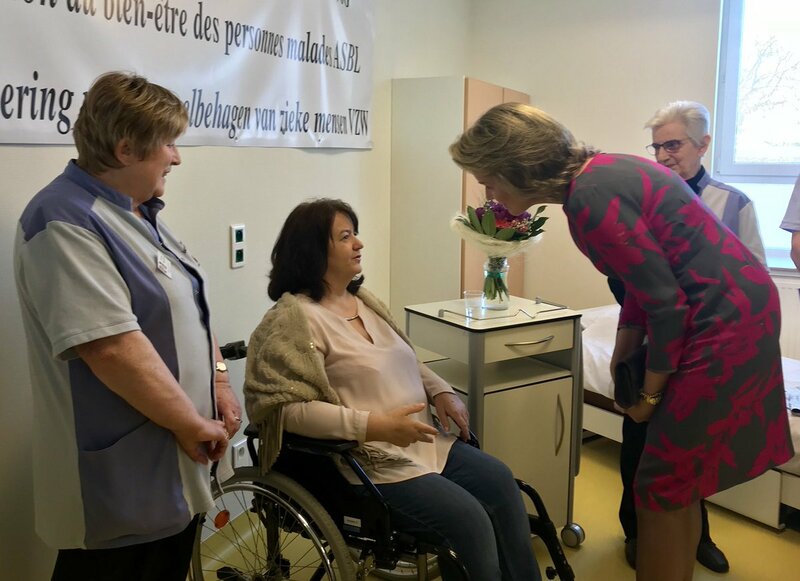 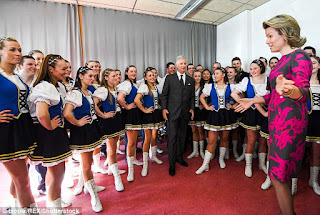 Mathilde talked French to the people she met, as her German is not sufficient.